+ He is transfigured. We are transformed. I can’t imagine what it would have been like to be there to witness the transfiguration of Jesus. Not only do Peter, James, and John see Elijah and Moses, they see Jesus transformed. It was a moment where there was no turning back. They had seen Jesus for who He was. In today’s #ShareJesus video, Leah Darrow talks about her personal story of transformation and the Sacrament of Confession. She challenges us that transformation calls us to action. It’s reflected in our lives. How has your life been transformed? Are you following us on Facebook? Twitter? Instagram? Pinterest? A simple #ShareJesus daily goal: two posts: one with the video and one without. Share from your heart and personal experience. Step back and ask yourself how you would respond to your posts. 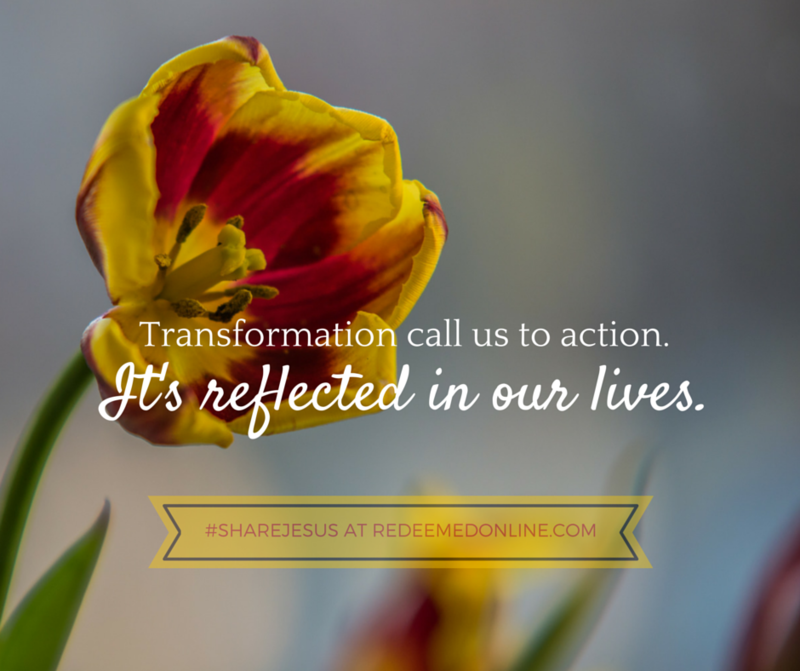 When was a specific moment in time that your view of Jesus was transformed? 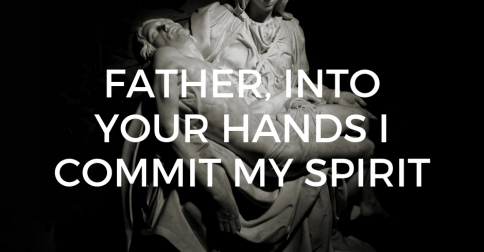 How have you encountered God in the Sacraments? On Facebook, please share the video from our Facebook page. This way you’ll get a lot more views than if you share a Youtube link on Facebook. From Twitter please use the Youtube link http://youtu.be/FIuqniXEtB0 with your posts and don’t forget to RT our tweets. What has the Lord been saying to you this Lent through the first 7 #ShareJesus videos? We would love to hear your feedback on Twitter and on Facebook. Pray that you would see the areas of your life that still need transformation. Pray with someone (not just for them) who is struggling, that God’s love will continue to encourage and transform them. Get to church one extra time this week if possible, even if just to pray for a couple of minutes. Call a friend that you haven’t talked to in a while and tell them about your Lent so far. Continue to pray for those who you want to share the Lord with over Lent. You’ve got the opportunity every day to encounter the love of God in prayer. Don’t miss that opportunity for transformation today! We would love to hear your feedback below! Today I want to ask you to join everyone who is a part of #ShareJesus this Lent in prayer. Prayer that Lent would be a time for each of us to encounter the Lord in a new way, but also a time where we go out and share the good news of who Jesus is with other people. Let’s pray for our friends, family members, coworkers, and neighbors who don’t yet know the joy of knowing Jesus. You can share your prayer requests with us on our Facebook timeline or @redeemedonline on twitter. This week’s #ShareJesus videos all look forward to this Sunday’s Gospel Reading of the Transfiguration. It’s my honor to share in today’s video about why Jesus chooses the people he did to be his disciples. The reality is that Jesus chooses a bunch of nobodies. God sees in the disciples something. He knows they have what it takes. 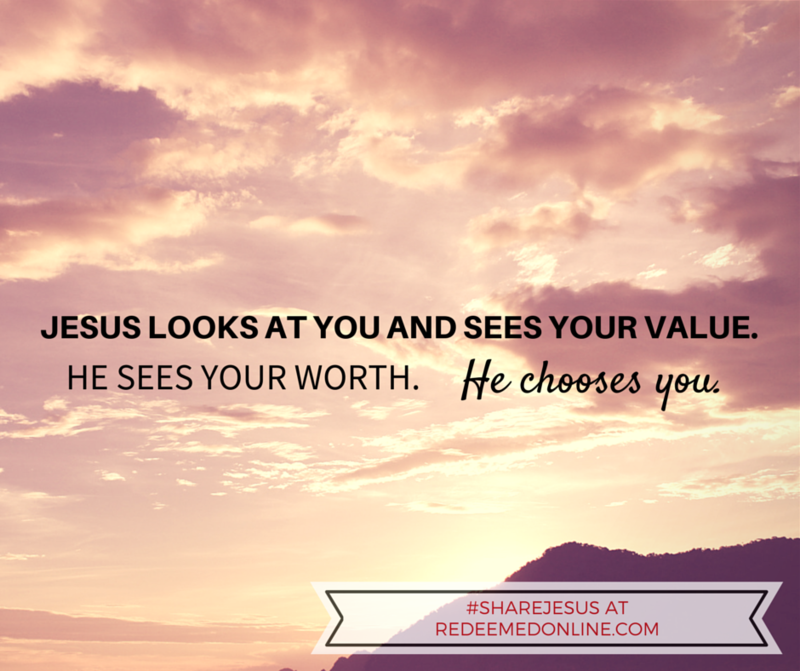 In the same way, Jesus looks at you and sees your value. He sees your worth. He chooses you. Are you following us on Facebook? Twitter? Instagram? Pinterest? If you are active on social media, we want to encourage you to do at least two #ShareJesus posts per day. One sharing with the video and one post just about your relationship with Jesus using one of the prompts below. Also, don’t forget to use #ShareJesus whenever you post! When was the first time you heard Jesus call you to follow him? Why does Jesus chose you? On Facebook, please share the video from our Facebook page. This way you’ll get a lot more views than if you share a Youtube link on Facebook. From Twitter please use the Youtube link http://youtu.be/N9EtzQTgoAI with your posts and don’t forget to RT our tweets. Pray that you would respond with an open heart to the Lord’s invitation to follow. Share with a loved one some way you have felt the Lord call you to follow him in a new way this year. Ask someone you don’t normally talk to about your faith if you could pray for them for anything this Lent. Even when we struggle to believe, the Lord believes in us enough to call us to follow him. What an awesome blessing. Please continue to pray for me and everyone involved in #ShareJesus. I personally treasure your prayers! Invite someone new to join us for #ShareJesus today. What’s your why this Lent? Living in Pittsburgh, PA it seems like everyone is Catholic around Lent. I sometime see and hear people who don’t go to church or make any claim to be into faith at all do things like give up something for Lent or not eat meat on Fridays. While these things can be good in and of themselves, we need to ask ourselves what’s the point? I believe more than anything Jesus wants to grow in relationship with Him. In today’s #ShareJesus video, Fr. Mike Schmitz examines the why of Lent. 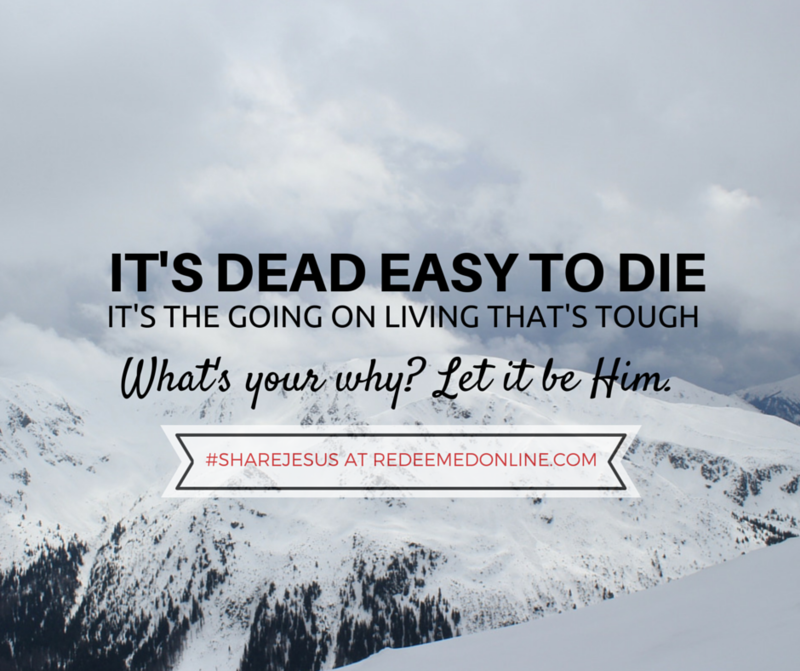 Take sometime to understand what was Jesus’s why and to ask yourself what is my why? I believe when we do this, it makes the things we do have much greater meaning and purpose. Knowing the why will help make your Lent awesome. Don’t forget to use #ShareJesus whenever you post! What does it mean that for Jesus his why is you? Share your why behind the things you are doing this Lent. Share a time when your faith has been difficult and what kept you going. Today share the youtube link http://youtu.be/X4Lms10ytQk along with the why behind your Lent, share what keeps you going when your faith is hard, and/or something that spoke to you from Brian’s video. Pray about what it means that Jesus’s why is you. Invite someone to church with you today. Talk to someone at church about where you are in your faith journey this Lent and what your goals are. Ask them to do the same. Today is Sunday! It’s the Lord’s day. 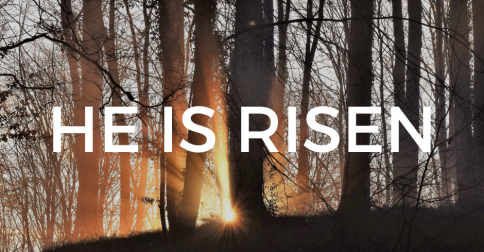 Today and every Sunday we celebrate that our God is alive. May the joy of the resurrection touch your life in a new way today. Are you following us on Facebook?Twitter?Instagram?Pinterest? God is close us to. As we journey through Lent, this Sunday we hear in the Gospel reading that Jesus goes into the desert and is tempted by Satan. We have a God that understands our struggles. Jesus wants to enter into our darkest places, our pain, and our loneliness. Today Brian Kissinger shares about Jesus and his temptation and 3 quick lessons we can learn from how Jesus overcomes temptation. God wants to do BIG things in your life and through you. Continue to make yourself available to him to, hear his voice, and continue to be his instrument in sharing Jesus with a world that desperately needs him. Jesus knew who he was. What does it mean to be a child of God? Jesus knew who God was. 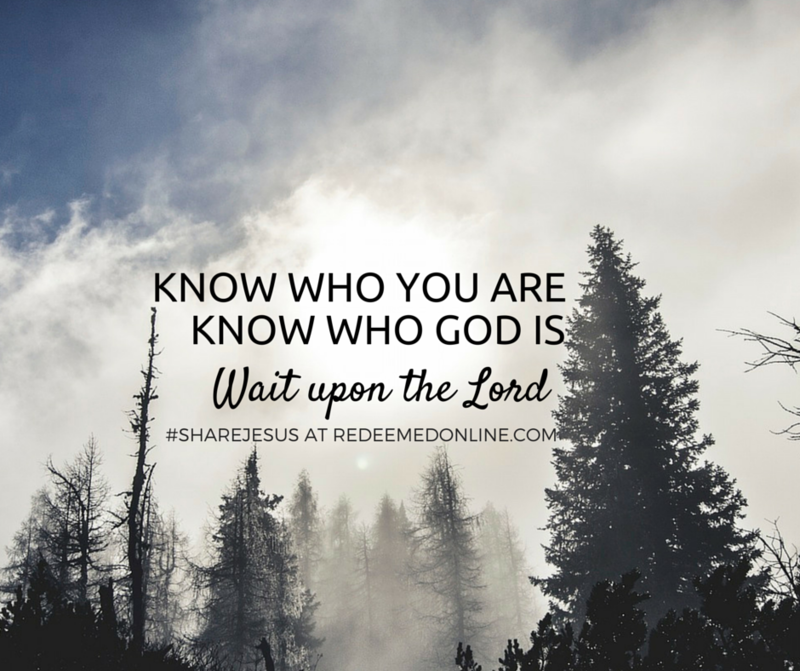 How have you come to know who God is? Jesus waited and trusted in God. How have you waited upon the Lord? Today share the youtube link http://youtu.be/JhV83op2Qys along with one way you’ve come to know Jesus, something your relationship with God has taught you about yourself, and/or something that spoke to you from Brian’s video. Take some time today to reflect on who God is and what it means to be his child. Encourage someone you know who is struggling in life or in their relationship with God. Write them an encouraging note. Ask someone today if you can pray with them and do it. Whatever struggles you face, God is here. God will be your strength in the face of temptation, whatever it may be. Know who you are. Know who God is. Wait upon the Lord. He never disappoints. We love to hear your feedback- share below! This Lent we want to invite you to do something BIG, #ShareJesus. This is an incredible, free opportunity for you to both experience and share Jesus with friends, family, and coworkers. Each day of Lent, beginning Ash Wednesday and running through Easter Sunday, you will get a 2-3 minute video emailed to you from a top Catholic speaker. Videos are based on the upcoming Sunday’s Gospel. They are created for sharing and discussion on social media giving you the ability to #ShareJesus within your social circles. Even if you aren’t on social media, you can share the videos via email. Our hope is this project is one of the largest social media projects ever attempted in the Catholic Church and you can be part of it. Sign up now!Here’s the exciting list of speakers: Fr. Leo Patalinghug, Sr. Miriam Heidland, Deacon Ralph Poyo, Brian Kissinger, Fr. Mike Schmitz, Andy Lesnefsky, Leah Darrow, Michael Gormley, Chris Padgett, Paul George, Sarah Swafford, Fr. Dave Pivonka, Paul Kim, Ennie Hickman, Mark Hart, Dave VanVickle, Ben Walther, Fr. Joe Freedy, Karen Reynolds, Kathleen McCarthy, Sean Forrest, Jim Beckman, Bob Lesnefsky, Courtney Brown, Pete Burak, and Mary Bielski. For more info on our speakers, click here. If you are interested in promoting this in your parish, click here for some ideas. Please use the share buttons below to share this with your friends and family!